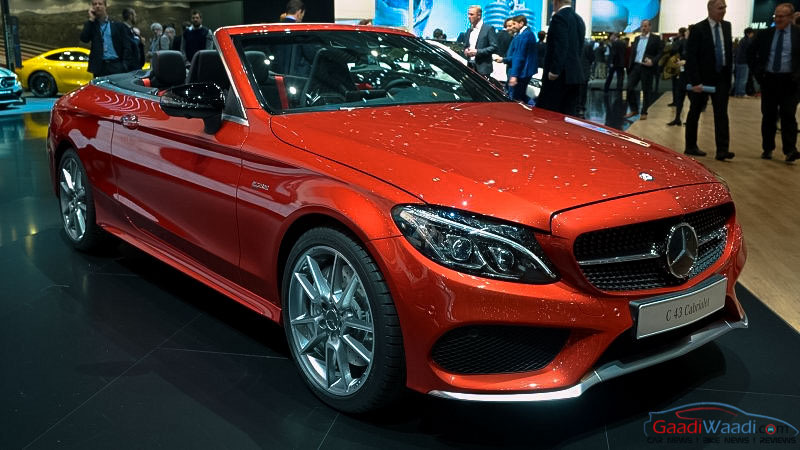 Mercedes-Benz C 43 AMG Coupe has made its first public appearance at the 2016 Geneva Motor Show, after it was revealed online shortly before the inaugural event. Apparently, it is the C Class coupe with the AMG package, that comprises of several premium elements both outside as well as inside the cabin. 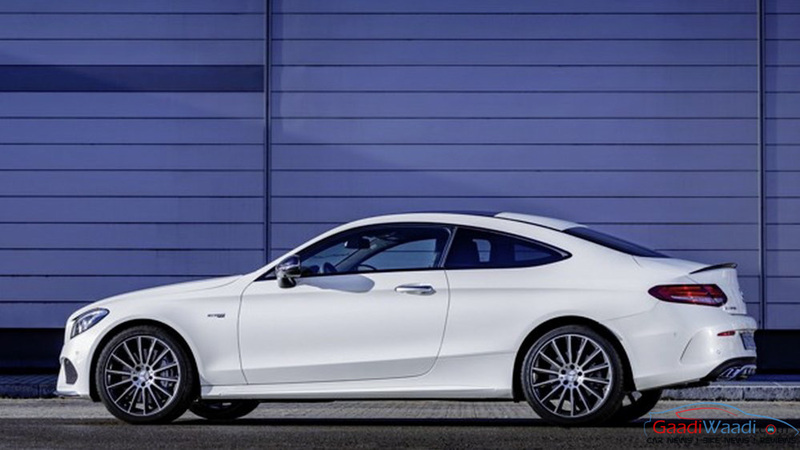 The C 43 AMG Coupe has the ability to touch the 100kmph mark from standstill in a mere 4.7 seconds. Flaunting a diamond radiator grille with chrome-plated pins and louvre in high-gloss black, the high-performance coupe rides on 18-inch 5-spoke AMG light-alloy wheels which are painted in high-gloss black with a high-sheen finish. The C 43 AMG coupe also gets distinctive rear apron with special exhaust tailpipes. Inside the cabin, the coupe boasts of AMG instrument cluster with chequered flag design and AMG main menu. Also, there is a multi-function sports steering wheel in leather with flattened bottom section and red contrasting top stitching. The interior upholstery is finished in ARTICO man-made leather/DINAMICA microfibre in black with sports seat upholstery layout and red top stitching. The company has incorporated the specially deigned large braking system with internally ventilated compound disc brakes in the coupe. 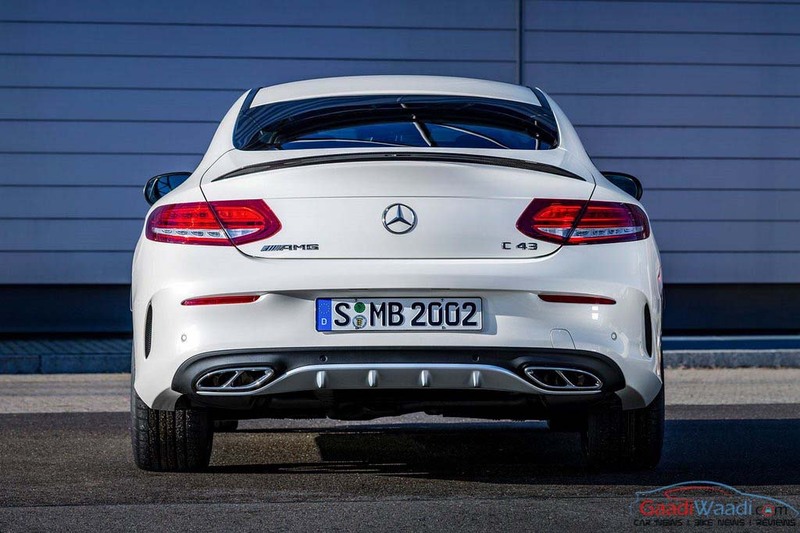 Under the bonnet, Mercedes-Benz C 43 AMG coupe has a 3.0L V6 twin-turbo engine which develops a maximum power of 367bhp and peak torque of 520Nm. 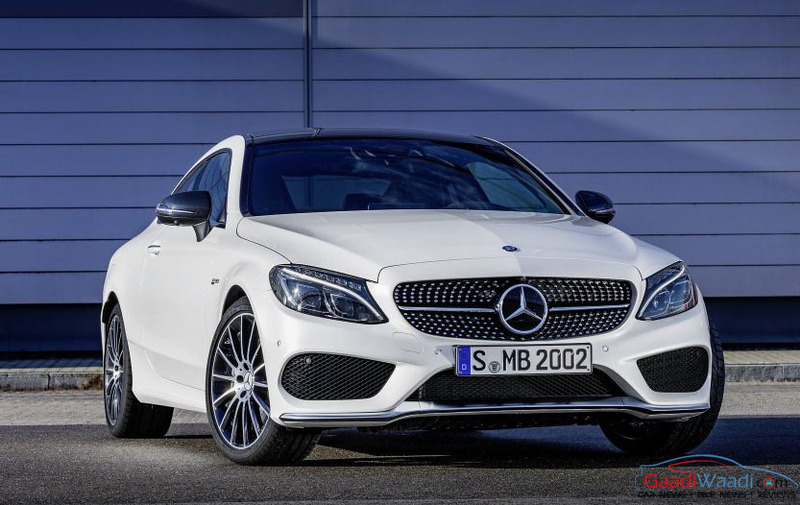 It is mated to a new 9G-TRONIC automatic transmission which transfers the power to all the four wheels via the German luxury automaker’s 4MATIC all-wheel drive. The coupe has a fuel economy of 8 litres per 100 kms; though, it doesn’t matter for the buyer. What matters the most for almost every buyer is the 250kmph of electronically limited top speed and the CO2 emissions of 178 g/km. The coupe also gets AMG RIDE CONTROL sports suspension with adaptive variable damping in three stages and AMG DYNAMIC SELECT switch with five driving modes. As for safety, a three-stage Electronic Stability Program (ESP) is available as standard feature.